Card of the Day ~Confidence~ Archangel Michael is with you, shoring up your confidence so that you can fearlessly face (and even enjoy) the tasks before you. This archangel is protecting you against negativity, helping you to remain optimistic and filled with faith, and ensuring that only people and situations of high integrity come to you. Have confidence in God’s power to keep you safe and secure. As you enter into a new phase of your life, it’s natural to feel intimidated by change. You may worry whether you’re prepared and qualified for what’s ahead of you. Remember, though, that God won’t bring you anything that you’re unable to do. Heaven also ensures that you have powerful companions, such as Archangel Michael, to help you in all ways. 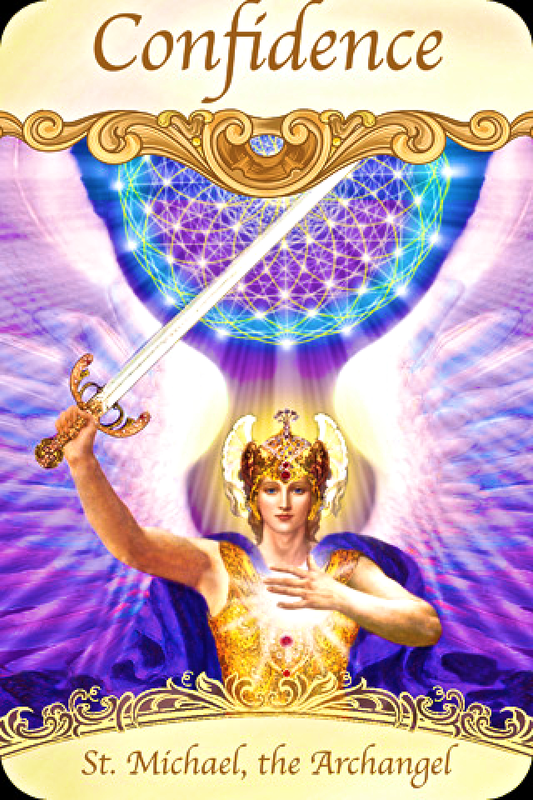 Archangels are the overseers of our personal guardian angels, and Michael’s name means “He who is like God.” He’s described in both biblical testaments as a prince, and depicted as fighting against lower energy in order to protect us all. Many people report miraculous rescues and protection as a result of calling upon him, and for that reason, he’s a patron saint of police officers, security guards, and sailors. St. Michael, the Archangel, will help you feel safe and confident if you call upon him. 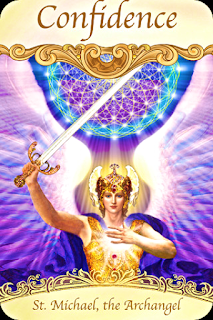 I have personally experienced Archangel Michael coming to my aid many times. He has never let me down when I have called on him for help. I pray you have a fantastic day. I love you all!